An outdated attitude ignores successful examples elsewhere - and misses out on a significant revenue stream. 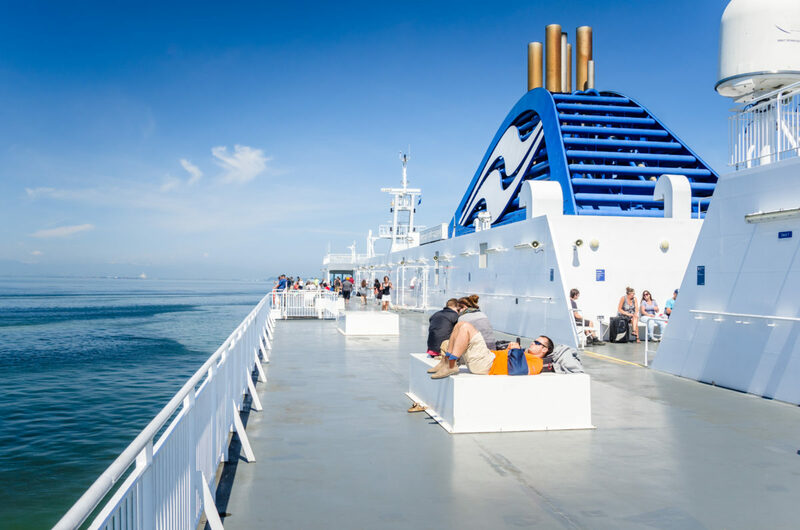 Every year as summer nears, BC Ferries warns British Columbians about the consequences of skirting their zero tolerance policy for passengers under the influence of drugs or alcohol. They also seem quite proud of the fact that they don’t sell any wine or beer on trips shorter than 15 hours. In doing so, they are giving up the opportunity to both make substantial additional income, improve passenger experience, and promote local beer and wine. “We’re a family show. You know we have a lot of children travelling with us and we want to make sure everyone is safe and can enjoy their ferry without being disrupted by another passenger,” a spokesperson for BC Ferries told CHEK News for a story about the financial benefits ferries in Washington have seen from liquor sales. In the frequently asked questions section of their website, BC Ferries talks about “the unacceptable conduct that can be associated with impairment,” in the same breath as outlining their zero tolerance drug and alcohol policy. However, it’s apparently worth saying that not every glass of wine or pint of beer leads to intoxication and poor decision making. Somehow airplanes have been offering liquor for years without disastrous consequences. If they are out to stop impaired driving, the company should realize it doesn’t make a difference whether passengers stop for a beer before boarding the ferry, or have one on the boat with their White Spot burger. The one major difference is where the money goes. On trips over 15 hours, to Port Hardy, Prince Rupert, and Haida Gwaii, BC Ferries does sell booze. According to the most recent revenue numbers, on average passengers on those ferries spend four times more on food and beverages than on ferries that don’t sell booze. For an organization so heavily subsidized by the federal and provincial governments, in the long run, more income from onboard food and beverage sales means more money can be left in taxpayers pockets. There’s also the opportunity for BC Ferries to promote local wine and beer companies and expose those brands to visiting tourists and well as locals. But more frustrating is the fact that BC Ferries seems to equate having one glass of wine (or beer) with intoxication and bad behaviour. “Persons consuming liquor or drugs on vessels or at terminals will be cautioned and advised to stop. If the situation persists and their behaviour is blatant and disruptive, the police will be notified. An intoxicated person(s) on a vessel may be arrested and detained if their conduct is disruptive and/or confrontational or if they pose a potential risk to the safety or security of passengers or crew,” reads the BC Ferries website. “Drivers should realize that a ferry crossing is not a good excuse to either drink alcohol or consume drugs, then get into their vehicles to drive. But if they make a poor choice, police will be on the other side to greet them,” said Constable Melissa Wutke, spokesperson for BC RCMP Traffic Services. In taking this hard of a line, they are implying that passengers are not able to handle themselves responsibly. It’s time we start treating ferry passengers like adults.